Soil health and the perpetual reference to sustainability leads us to the last frontier: the rootzone environment and its’ inhabitants of soil microorganisms. This article from 1964 talks about the benefits of having “active soil microflora” and “to be fertile a soil must be plentifully populated by bacteria”. These same statements from over 50 years ago are still true today. Dr. David Zuberer, Professor Emeritus at Texas A&M, summarized 35 years of soil microbiology research by stating that turfgrass soils are not much different from agricultural soils or native grasslands in terms of microbial functions; that the turfgrass environment is favorable for the growth of soil microbes especially when accompanied by sound agronomic practices including aeration; and that growing healthy turf will provide the necessary resources for soil microbes to thrive. [Source: Zuberer, D. 2012. Soil microbes: Some practical perspectives for turfgrass systems. USGA Green Sec. Rec. 50(15):1-5.] Refer to previous Down and Dirty posts for more information: The Microbiology of Your Soils by Dr. Doug Soldat, and Late-Summer Marathon and Right Soil, Right Place by Dr. Cale Bigelow. This “feed the soil to feed the phytobiome” is today’s mantra. Wait, what’s a phytobiome? ‘Phyto’ means plant, and ‘biome’ is defined as an ecologically complex biotic community characterized by distinct plant and animal species maintained under the climatic conditions of the region (i.e., a turfgrass stand and rootzone with diverse soil biological, chemical, and physical properties). As described at www.phytobiomes.org, phytobiomes consist of plants, their environment, their associated communities of organisms, and these interactions within phytobiomes can have profound effects on soil and plant health. Many university and industry turfgrass scientists are already working in this newly “re-defined” area of phytobiomes, but golf course superintendents and turf managers have been doing this all along. For soil scientists (a/k/a “soil nerds”), the place-to-be for spring break is Vienna! The European Geosciences Union convenes their annual conference every spring in beautiful, historic Vienna, Austria. It’s called the EGU General Assembly, and it was recently held April 17 – 22, 2016. A total of 13,650 scientists from 109 countries participated in 619 scientific sessions discussing the latest research on all things soil, with 4,863 oral papers presented and 10,320 posters presented. This is literally spring break for “soil nerds” all over the world. Instead of lying on the beach all day and singing karaoke in the bars at night, these conference attendees talk about soils all day – and I mean all day! I typically attend every two to three years. Last year, I was sitting at a dinner table with the Bohr, Rutherford, Einstein, and Oppenheimer of soils physics! Very theoretical, but they were all interested in learning more about turfgrass science and management, specifically what goes on at the turfgrass root and soil interface. 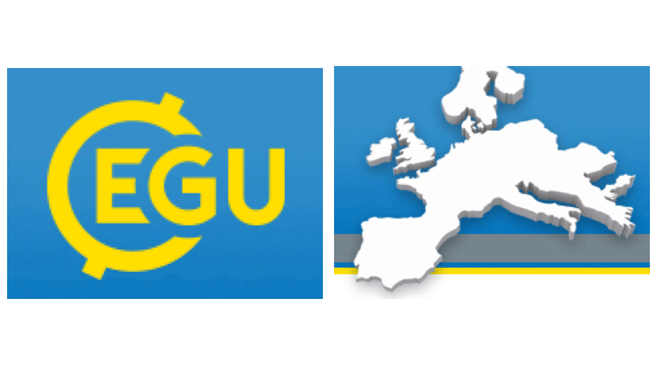 So, if you want a different spring break experience, the next European Geosciences Union General Assemble is scheduled for April 23 – 28, 2017, in Vienna, Austria. If you go, be sure to fine a café somewhere in the city and enjoy some authentic viennese coffee. What do soil microorganisms, phytobiomes, and soil nerds have to do with turfgrass science? It seems that in-depth investigations and discoveries of these turf phytobiomes can be translated into new and exciting tools or products for turfgrass management. During the next few years, my secret “soil nerd” network tells me there will be some interesting commercialization of these patented soil science advances. You may even see a product or two launched during the trade show of the next Golf Industry Show in 2017 in Orlando, Florida. Ooops! I said too much.